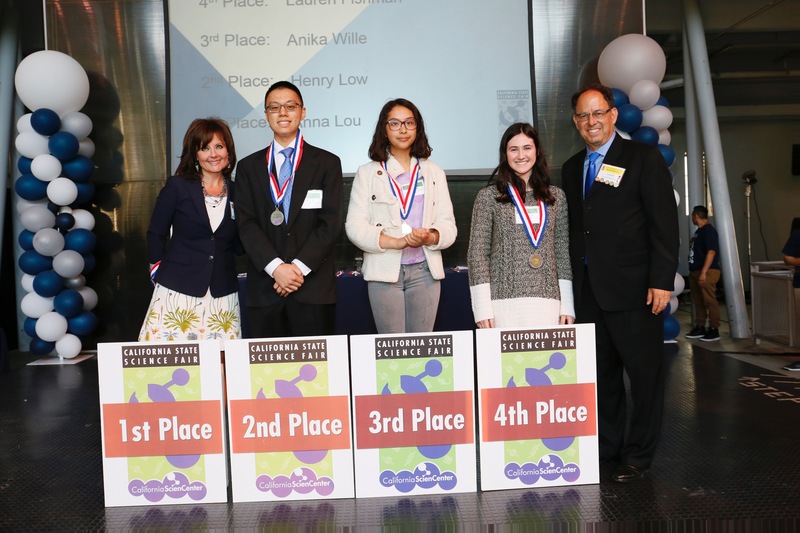 From left to right are: Anna J. Lou (First Place), Henry G. Low (Second Place), Anika J. Wille (Third Place), and Lauren R. Fishman (Fourth Place). Flanking the award winners are the co-chairs of the 2016 Fair, Liz Snyder (left) and Hal Snyder (right). 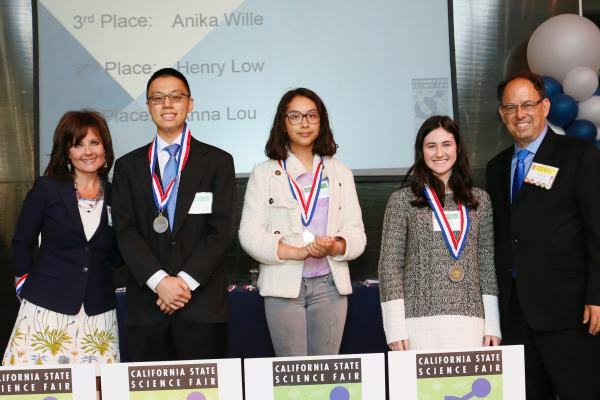 Apparently not present at the Awards Ceremony was: Anna J. Lou (First Place).